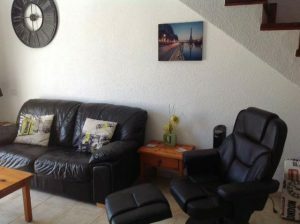 This studio on Parque Santiago 3 is one of our Las Americas self catering studios. It sleeps 2 people and has very good pool views from the balcony. We stayed in a studio on Parque Santiago 3 for one week earlier this month. The studio was on the 3rd floor and had lovely views. It was great as it was for our honeymoon. The only negative comment I would have is that there was no lift. It wasn’t a problem for us, but it could be for someone less mobile. That’s one of the advantages of booking a privately owned apartment as this was. As you can ask questions about the location and the accessibility. Whereas if you book through the hotel you will be allocated an apartment on arrival. I have a friend in a wheelchair who obviously needed an apartment on the ground floor and she was allocated an inappropriate apartment. Luckily they were able to move her to a more suitable one, but it just goes to show. We booked our privately owned studio through Karen from Holidays4u.org, who I would definitely recommend and we will definitely use her again. Another thing to be aware of on this complex is that the pool is salt water. Again not a problem for us, but it isn’t everyone’s favourite. It think it is healthier though. The studio we had seemed very spacious. There was a great deal of sun on the balcony, which was great for sun bathing, but it did make the apartment hotter during the evening. Everything is close by. It is a very easy walk to the beach. There are also plenty of lovely restaurants and bar around the complex. There is even a gym now, which we used quite a lot. 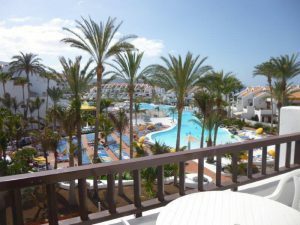 This 1 bed apartment on Parque Santiago III is one of our newest Playa de las Americas rentals. It is situated on the 3rd floor and has a sea and pool view. Have just returned from a 2 week holiday on this lovely complex, Parque Santiago 3. We stayed in an apartment this time which had lovely views of the sea and pool. We booked through Karen Durant from Holidays 4U, who was very efficient in dealing with our booking. She was even on hand when we arrived at the apartment and the key wasn’t in the key box. She quickly arranged for someone to come out to us with the key. We booked a one bedroom apartment. It was for myself, my husband and our 7 year old daughter. She absolutely loved the water slides. It really is the best complex in Tenerife because of this feature. We would definitely book one of the privately owned apartments again, which is what Holidays 4U offer. As when you book through a travel agent or through the hotel, you don’t get to choose your location. We have done that in the past and ended up in a room overlooking the road, which wasn’t much fun. The weather was great during our stay, but very hot in the apartment as there is no air conditioning on Parque Santiago 3 on the whole, or there are a few private owners who have had it installed. The facilities on the complex more than make up for that though. The restaurants in the surrounding area are very nice and there are some good bars as well. It really is a very upmarket area. The shopping is also to die for. My favourite is Zara, I could have easily spent several afternoons in there. But that would have been unfair on my family! This one bedroom apartment is one of our Parque Santiago 2 self catering apartments. It has a washing machine and walk-in shower. We had another lovely and enjoyable holiday on Parque Santiago last month. We booked through Holidays 4U who were great. The service was efficient from beginning to end. We were especially pleased with the service as we forgot our car keys when leaving the apartment, only realising when we stepped into the airport. But we phoned Karen and she promised to forward them onto us, which we duly did. The complex is very nice and well maintained. The pool is very nice as well, though you have to pay for sun loungers. But we knew that before travelling, so it wasn’t a problem. There are plenty of restaurants and bars in the area, so a car is not needed. The beach is also very close. It was really and truly a holiday for relaxing, no need to cook any dinners or do any house-work. We spent a few days visiting local attractions including Siam Park and Lorro Park. It was very easy to get to as it was a short taxi ride. The weather was great and very hot. 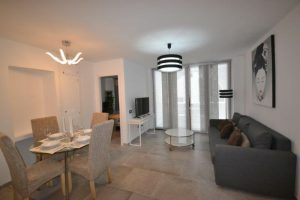 The apartment we booked was fully refurbished and very modern, which is just what we love. It also had a washing machine which was a nice surprise, as we didn’t realise. The apartment was clean on arrival and the linen and towels were good quality. We stayed for one week, which wasn’t really enough. We will try to book for 10 nights next time. Yes there will be a next time and if possible we will book again through Holidays 4U, as the service was so good. This one bedroom apartment on Parque Santiago I is one of our Las Americas holiday lettings. It has a sunny south facing balcony and a washing machine. We have just returned from a fantastic holiday on Parque Santiago 1 which we booked through Karen from Holidays 4U. We have used Karen many times now and would definitely recommend her. She is always very responsive during the booking process, replying to emails quickly and professionally. She provides good information on the apartments. Having booked through some popular online booking engines, we much prefer Karen’s personal approach, rather than just clicking a button to book, or dealing with someone who doesn’t respond quickly. It can be very frustrating. The apartment we booked this time was very nice. The south facing balcony was very sunny, which was what we wanted. The lounge was modern, with comfortable sofas and chairs and a modern flat screen TV which was very big and had a good selection of channels including English ones. We were travelling as a couple, so we didn’t mind that the bedroom was galleried, but it may not be suitable for some parties. It was a nice touch that the bathroom was ensuite, but again this could be problematic if there are 3 adults staying in the apartment. But we loved the apartment and couldn’t fault it in anyway, as far as our holiday was concerned. The bathroom has a walk-in shower which would be good for anyone with difficulty getting into a bath, such as my parents. It also had a washing machine in the kitchen which was very handy as my husband spilt some red wine on his favourite white shirt, so being able to throw it in the wash straightaway was really a life saver. 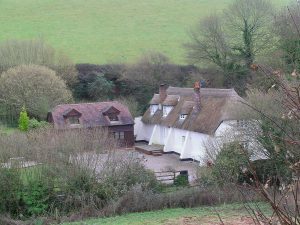 Rocombe Thatch is one of our Torquay thatched cottages. It is a detached cottage with a separate annex with a total of five bedrooms. We had an excellent holiday in the cottage we booked for my father’s 90th birthday celebration. It was a mammoth affair including all the extended family. The cottage had 5 bedrooms including a two bedroom annexe, so there was my husband, me and my daughter; my mother and father; my sister her husband and her daughter; my nephew and his wife and baby; and my aunt and uncle. It was great to book this cottage so we could all get together. All our houses are much smaller, so it would have been impossible to meet up at any of the homes. Plus we all live quite far apart, so this we could all gather in a neutral environment. The weather was great, apart from one day when it rained. The cottage had wifi internet which was very useful, as quite a few of us have our own businesses and you just need to be able to keep an eye on emails even if you don’t action anything. The satellite TV was fantastic with lots of channels. The owners also had subscribed to Netflix, so we were able to choose from a huge selection of films. Mind you it was quite difficult choosing sometimes, with so many people and so much choice! The area was very picturesque and very peaceful. We booked the cottage through Karen Durant from Holidays 4U. She was very helpful, throughout the booking process. Infact, she was a life-saver. 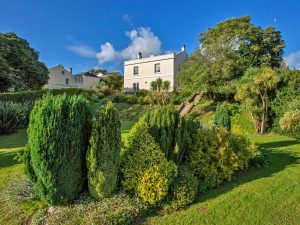 We had been let down by a previous owner with a double booking, but Karen saved the day by finding us this fantastic property which surpassed all of our expectations. This one bedroom apartment on Summerland is one of our Los Cristianos apartment rentals collection. 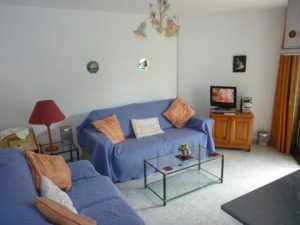 It is a spacious, refurbished fully equipped apartment. Have just returned from a fantastic holiday in Los Cristianos. We stayed in the Summerland complex in a one bedroom apartment overlooking the pool. We booked the apartment through Karen from Holidays 4U and were very happy with the service and standard of the accommodation. The apartment was clean, spacious and well furnished. It had obviously been refurbished at some point not too long ago. The complex has a nice atmosphere. We made some friends and have swapped contact details in the hope of meeting up during our next holiday in Tenerife. 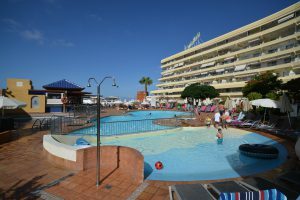 We like the resort of Los Cristianos as there are lots of restaurants and bars in easy walking distance of the accommodation. The beach is also easy to walk to. The apartment was very comfortable with a couple of nice sofas in the lounge to relax on. Also the TV was modern and there were satellite channels, so we were able to watch some programs in English. We even brought and HDMI cable and watched a couple of films streamed through my laptop on Netflix. Almost like being at home but the weather was better. We were also able to get wifi internet through the mobile hotspot on my mobile smart phone. My phone provider just charged £3 per day for using the free data within my bundle on my mobile phone contract. So we had internet whenever needed on my laptop. That was a real bonus. Everything was within walking distance. We particularly liked to stroll down to Los Cristianos beach and harbour. It is very picturesque and there are plenty of restaurants and bars, of which we tried quite a few. A quaint thing we noticed was a little house with a tiny door, which looked slightly out of place, as if it was part of a row of houses from hundreds of years ago, except everything around it had evolved, only it remained as a reminder of former times. 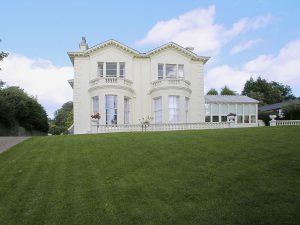 Ben Venue is one of our Torquay luxury cottages. 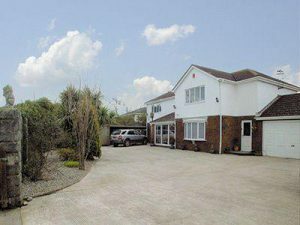 It has 6 bedrooms and 5 bathrooms, featuring a games room and gym with a full-size snooker table. We have just returned from a fabulous holiday in Torquay which we booked to celebrate my niece’s wedding. We stayed as an extended family of 12 people including grandparents, father and mother and their partners, my family of 3, and my sister-in-law, her husband and her daughter. We had to book the cottage from a Friday for a week, which was perfect as the wedding was on a Saturday. After the wedding the bride and groom left for their honeymoon and the rest of the party stayed for an extended holiday. We were really impressed with the house. It was decorated in a luxurious style. If you only like modern, you wouldn’t appreciate it however. We loved it however, as the owner has kept the decor and furniture in the period style. The main reason that we chose this house was the snooker table. We loved to spend our evenings there playing and sipping glasses of champagne. The house was full of original features including the lovely chandeliers. The owner left us a luxurious welcome pack to match the luxurious cottage. It included champagne, caviar (although I am not really keen on it: lots of the other family were though), Belgian chocolates etc. We were really lucky with the weather. Although there was a bit of rain, somehow we managed to avoid it everytime we ventured outside. We loved visiting Bygone Days, which the children really loved. It is a sort of museum. You can walk down a Victorian street and look in all the shop windows to see all the produce which would have been on sale at the time. This one bedroom apartment is one of our Santa Maria apartment lets. It is on the 3rd floor of the complex and enjoys excellent sea and pool views. The complex Santa Maria is situated in a fantastic location, just across the road from the beach and sea front. We stayed in a one bedroom apartment and travelled as a couple. The apartment we had was on a higher floor with a great sea and pool view. As well as the beach, the harbour is also just a short walk away and there are plenty of watering holes and restaurants along the way. We booked a self catering privately owned apartment through Karen Durant from Holidays4U.org. My only small grumble is that the apartment didn’t have air conditioning, which it could have done with as it was very hot. However, there were ceiling fans. We hired a tower fan, which also helped a little. As I say we were in a self catering room, so we got to try out many of the wide range of restaurants available in the resort. Our favourite was a Spanish tapas bar close to the marina. The balcony was great. It got a lot of sun, and there were sun loungers provided as well as a patio table and chairs. So we ate our lunch on the balcony most days. We also bought some big pineapples which were very tasty and refreshingly juicy. We thought the pool area was very nice and clean. Also the staff were very friendly. There is free wifi on the complex but it is very slow. I ended up using my phone as a Mobile Hotspot. Through Vodafone, I was only charged £3 per day to use the data within my contract package. Ridge House is one of our Torquay cottages with hot tub. It has five bedrooms and three bathrooms and can sleep up to 12 people. There is also a games room. We have an absolutely fabulous holiday in Torquay. We booked through Karen from Holidays 4U. The booking process was very easy and she was very efficient in answering all our emails promptly (even late at night). We were a family of 6 people. We were celebrating my father’s 90th birthday party, so we wanted to book a special cottage. So our party was made up of my mother and father, myself and husband and our two daughters. My sister also joined us for one night with her husband and daughter. So it was good to have a lot of room and a large dining table so that we could all sit down to dinner together. The cottage had a hot tub outside. It was an 8-seater hot tub. So my sister’s family and my family all enjoyed, but understandably my mother and father declined. We really loved this property and would definitely book it again. We were very lucky with the weather. The sun was out most days, apart from one. So we had a couple of barbeques. We were advised that there was an award winning restaurant nearby, so we tried that out one night. I would also recommend Angel’s Tea Shop. It is in Babbacombe, so we had to drive there. We parked just nearby on Babbacombe Downs. There are fantastic sea views here. Angels is a lovely tea shop. They serve amazing cream teas. There are several different types of scones you can choose including plain, fruit and ginger scones. They are homemade and very large. Unlike some scones you would buy in the supermarket, these are moist and delicious, not all dried up and crumbly. There were also several different types of jams such as strawberry, raspberry and plum. This was topped off by a welcome pot of Earl Grey tea.